Boil mutton breasts or flanks enough to loose their color. Cut into pieces the size of a thumb. Thinly slice bacon into pieces the size of small feathers. Heat a frying pan and spread the bacon lengthwise in the pan to create grease. 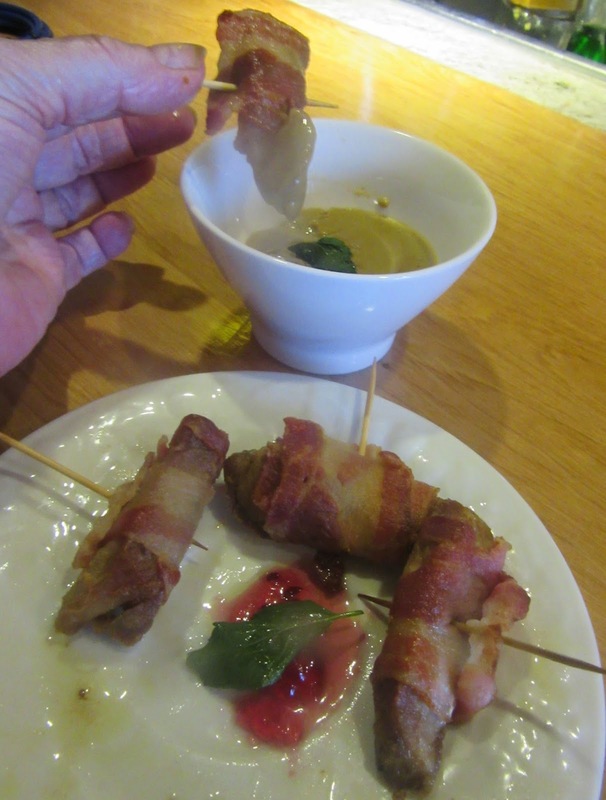 When the bacon finishes excreting fat, remove it and gently fry the meat in this. Add the meat to the broth from boiling the mutton and brown it. 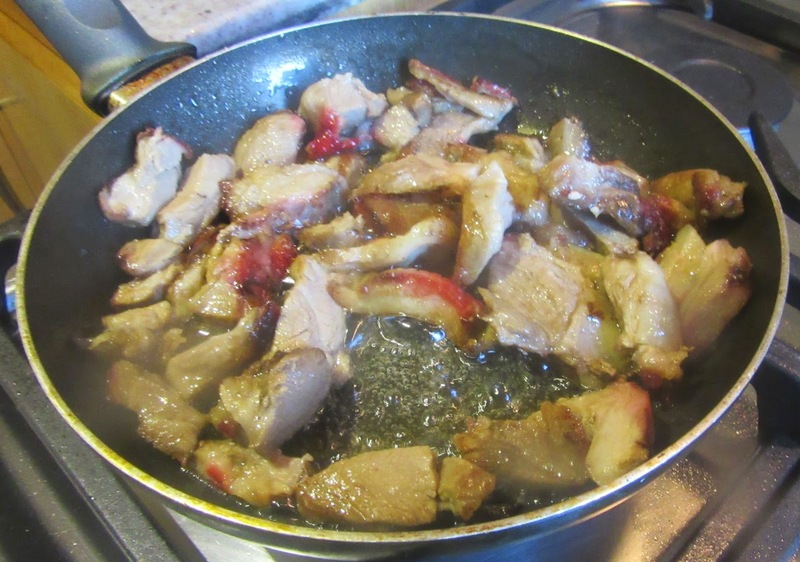 Make a sauce from the broth, adding a slice of toast and a chicken liver. Put this in a food processor and grind until smooth. Strain this thought a cheesecloth. Serve immediately while hot. After boiling the meat use it or the leftovers from it to make pieces the size of a finger. Roll each piece in a ½ - 1 slice of bacon, enough to cover it horizontally and secure it with a toothpick. Heat a frying pan. Add a slice of bacon to create enough grease to fry the lamb and bacon pieces. Add the pieces and brown on both sides. 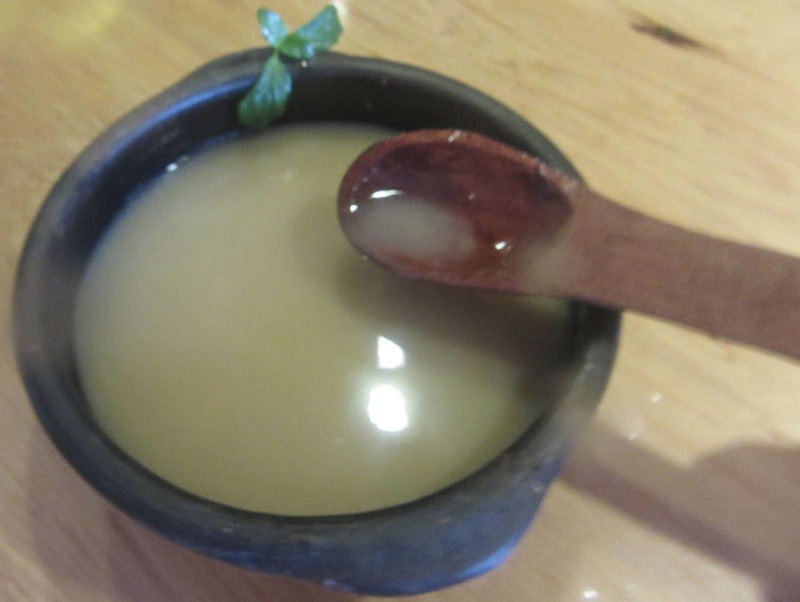 Makes a sauce consisting of 1 ½ c broth or drippings of the prepared meat combined with 1 c water. Bring to a boil and cook until the sauce thickens. Serve immediately as a dip with warm lamb and bacon rolls for hors d'oeuvres. Either way, Nola's version and the Medieval Spanish Chef's are first class solutions of leftover meat! 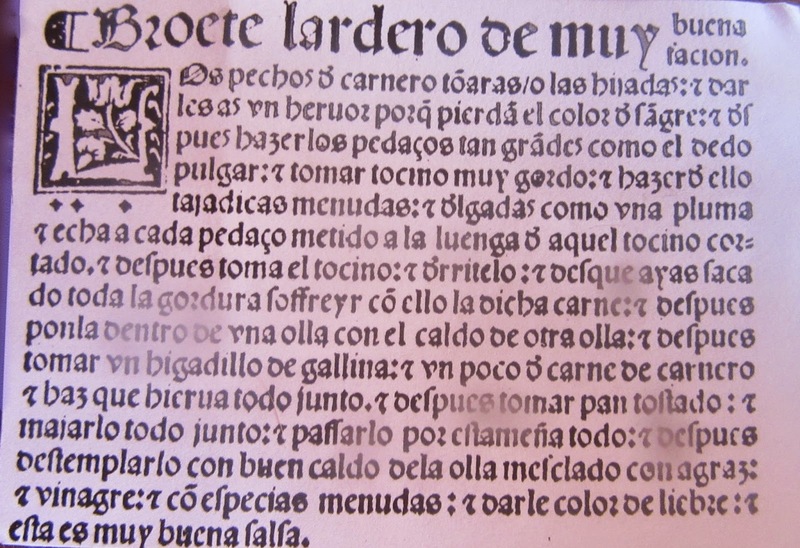 Los pechos de carneros tomarás o las ijadas; y darles has de hervor porque pierden el color de sangre; y después hacerlos pedazos tan grandes como el dedo pulgar; y tomar tocino muy gordo, y hacer de ellos tajaditas delgadas y menudas como una pluma y echar cada pedazo metido a laluenga de aquel tocino cortado y después toma el tocino y dirrítelo; y desque hayas sacado toda la gordura sofreír con ello la dicha carne, y después ponla dentro de una olla con ello la dicha carne; y después tomar pan tostado; y majarlo todo junto, y pasarlo por estameña todo y después destemplarlo con buen caldo de la olla mezclado con agraz; y vinagre, y con especias menudas, y darle color de liebre; y esta es muy buena salsa. You will take the breasts of mutton or the flanks, and give them a boil, so that they lose the color of blood; and then make pieces as big as your thumb. and take very fatty bacon and make little slices of it, small and thin as a feather; and cast each piece lengthwise along that cut bacon and then take the bacon and melt it; and when you have extracted all the grease, gently fry the said meat with it; and then put it into a pot with the broth of another pot; and then take a hen's liver, and a little mutton, and make everything boil together and then take toasted bread, and grind everything together; and strain everything through a woolen cloth; and then blend it with good pot-broth mixed with verjuice and vinegar, and small spices, and give it the color of a hare; and this is very good sauce.